Breakfast: Let me introduce you to my new favorite breakfast! This is what I was craving and it did not disappoint. 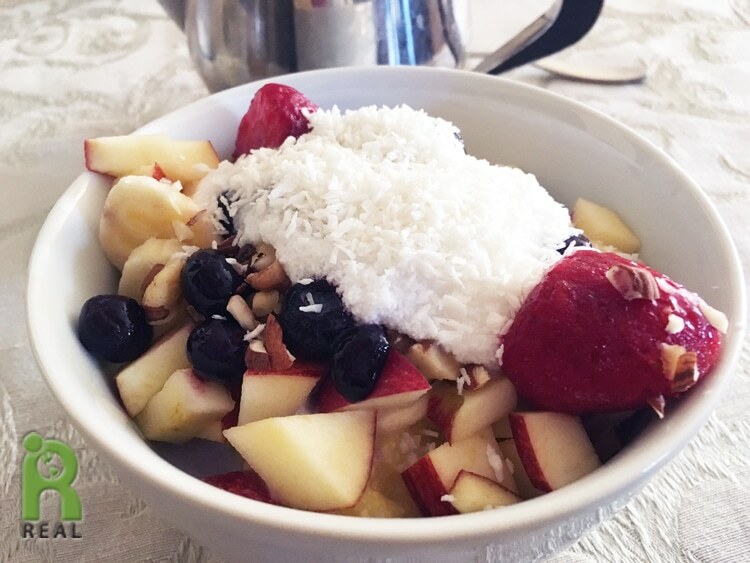 I chopped up an Apple, some Walnuts and Almonds, tossed in some Strawberries and Blueberries (they were frozen and I let them defrost a little}, Flax Seeds, Maca Powder, Cacao Nibs, Vanilla Extract and Coconut Milk. Cacao Nibs are bitter, but mixing them in with sweet fruits tricks the tongue (at least mine anyway) and you get the sweet flavor from the fruits and the chocolaty flavor from the nib and a smooth richness from the coconut milk. It’s ice cream for breakfast for me. 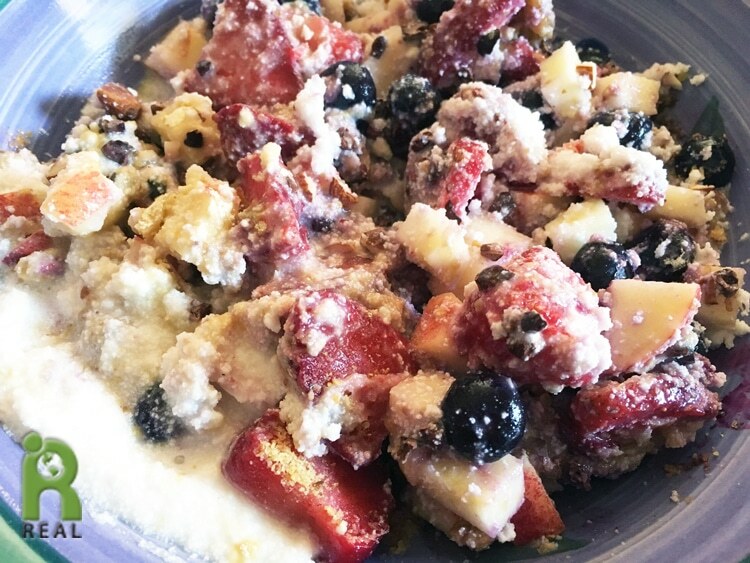 Gary was cooking up Polenta Cereal for his breakfast that he enjoyed with some of the same ingredients: Apples, Nuts, Berries and Coconut Milk. Lunch: We were going out in the evening – me to visit with a friend from France and Gary to perform in a reading of a new play. He wasn’t hungry but I grabbed some Ruby Kraut and Yellow Split Peas before leaving the apartment. Dinner: My friend Josée from Aix-en-Provence met me at the Progressive Radio Network studio and listened as I recorded my program with Dr. John McDougall. We were going to see Jersey Boys on Broadway afterwards. As we walked about 20+ blocks towards the theater Josée was hungry. We stopped into Hummus Kitchen in Hell’s Kitchen and had some FAST FOOD! It was fast because we didn’t have much time to eat. The show started at 7pm. While waiting for our dinners we had MInt Tea. 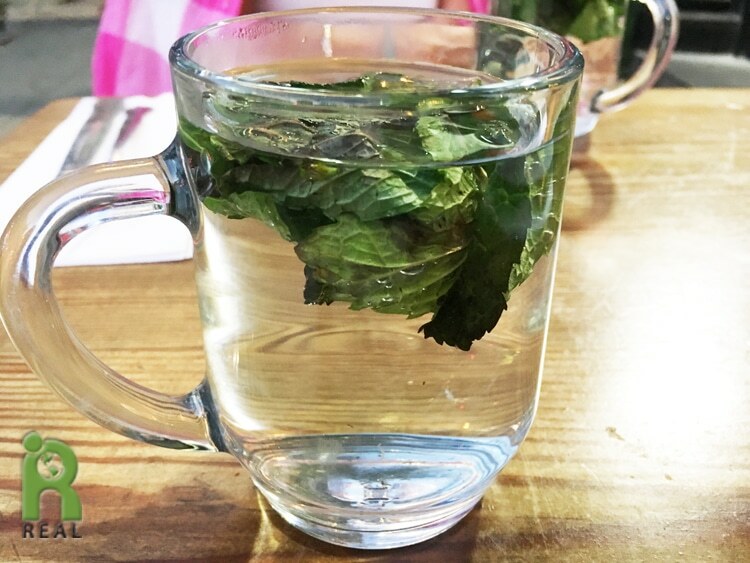 It was so delicious, yet so simple – fresh mint leaves with hot water. I love brewing mint or other herbs with hot water, or even lemon juice with hot water. It’s refreshing. We both ordered the Quinoa Taboule which was fabulous. I got the hummus and Mediterranean Salad, Josée ordered the Majadra Rice. It was all good. The only complaints were that we expected more Lentils in the Majadra Rice and, after listening to Dr, McDougall talk about how bad oil is, all oil, even olive oil, I felt a little naughty eating this delicious food. Olive oil was drizzled over everything. I agree with the good doctor that oil is not a healthy food. 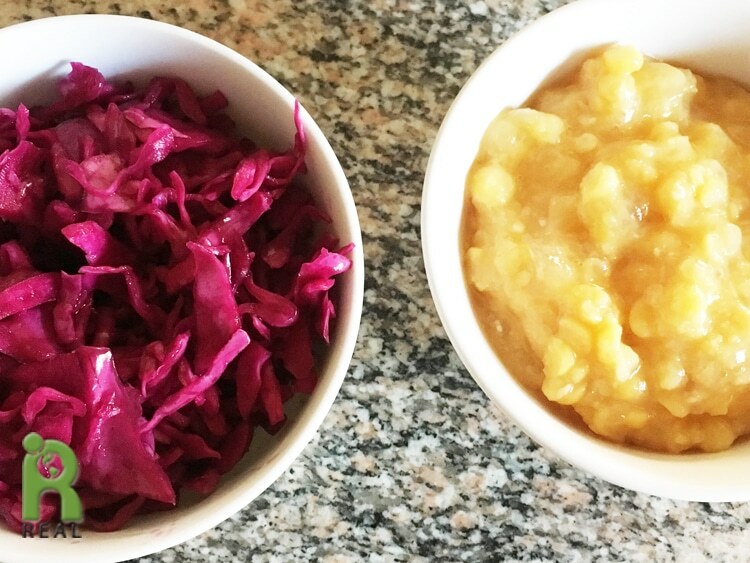 We rarely cook with it at home and don’t use it in our every day salad dressing. I do love it and when I am out I enjoy it. 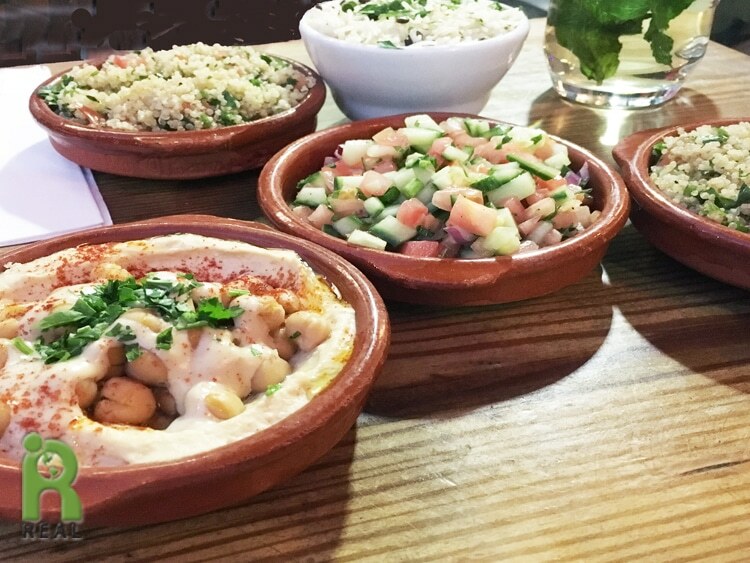 We have many recipes for Middle Eastern dishes if you want to try some at home. Evening: Gary and I followed each other home by subway texting each other along the way. People enjoyed the play and his performance. I LOVED Jersey Boys. I was not expecting to. Mark Ballas was making his Broadway debut as Frankie Valli. I did not know of him because we have never watched Dancing With The Stars. I learned during the bows that this was his opening night. He gave a wonderful performance as did the rest of the cast. We met at our home station and walked home. Gary was so hungry after not eating all day and having a performance. He went for the Corn Thins and Schmears and I finished up the Strawberries and Blueberries leftover from the morning breakfast bowls.